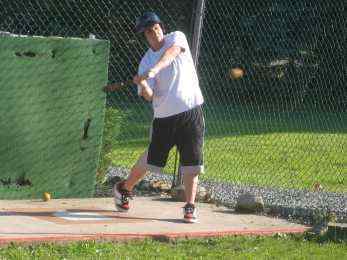 Try out the BATTING CAGES and see if you’re the next big leaguer! Give it your best major league shot and see if you can hit a home run. Choose either a slow pitch from 45 mph or the fast pitch at over 75 mph. We supply bats and helmets but your own bats are welcome. All batters must be at least 10 years old and 48 inches tall. 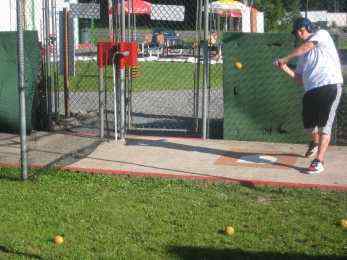 The batting cages are a great way to get some extra batting practice to perfect that swing. 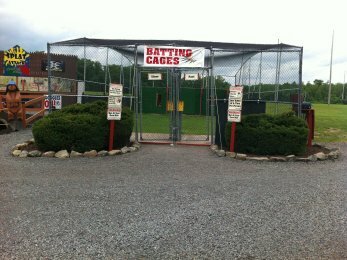 Test your baseball batting skills in our batting cages. Batter Up!